Amit Prakash is Professor at the Centre for the Study of Law and Governance, Jawaharlal Nehru University, New Delhi. Amit Prakash holds a PhD from the School of Oriental and African Studies, University of London. He studied for his MA and MPhil degrees in Political Science at the Jawaharlal Nehru University, New Delhi and for his graduate degree at the Maharaja Sayajirao University, Vadodara. 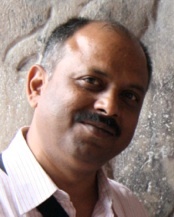 His areas of research include politics of development and identity; critical governance studies (including governance indicators); conflict, governance and the state; democratic political process in India; policing in India; and, global governance.